DETROIT - Fans of the Detroit Red Wings should be somewhat relieved to know the team's goalie situation just got a lot better. Better on paper, at least. 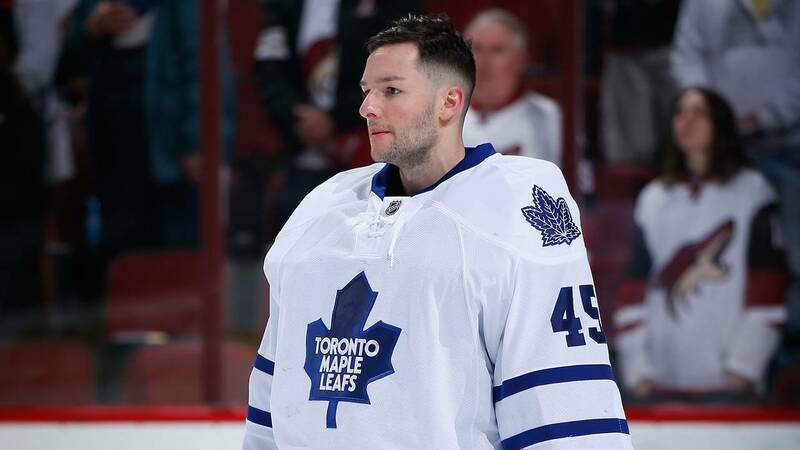 Detroit signed 29-year-old Jonathan Bernier to a three-year contract on Sunday, filling the hole left by Petr Mrazek, who was traded at this year's deadline. The Red Wings received two conditional draft picks from the Philadelphia Flyers in exchange for Mrazek. They also freed up the space to go out and get a goalie like Bernier, who provides a lot of upside to a team relying heavily on 34-year-old Jimmy Howard. Bernier might be stepping in as Howard's backup to start, but it would not be surprising to see him splitting time with Howard or taking over the starting role for good. In comparison to Mrazek, Bernier's numbers have been way more impressive over the past few seasons. Even with the Flyers, Mrazek posted a career-worst .891 save percentage over the course of 17 games. Bernier, meanwhile, has posted a .915 and .913 the past two seasons. To put it bluntly, Bernier suffered through three seasons with the Toronto Maple Leafs. Despite Bernier's winning record (26-19-7) and an impressive .922 save percentage in 2013-14, the Leafs were unable to make the playoffs. Bernier had beat out James Reimer for that starting job. As the next two seasons turned into a downward spiral for Toronto, Bernier found himself playing for the team's AHL affiliate, the Toronto Marlies. It was definitely a low point for him, but Toronto soon traded him to the Anaheim Ducks for a conditional draft pick. He shined in his one season with the Ducks, posting a .915 sve percentage and 21 wins in 38 games played. He followed that seasons up with 19 wins as an Avalanche in 37 games played last season, with a .913 save percentage. Bernier was Colorado's No. 1 goalie this past season after Semyon Varlomov went out with an injury. He helped the Ducks into the playoffs where unfortunately he had to exit early with his own injury. If Bernier had stayed healthy, the Ducks had a real shot at knocking off the Nashville Predators in the opening round this spring. Instead the Preds beat them in six games. Bernier appears to have won back his confidence in net after his years in Toronto. As a former 11th overall draft pick by the Los Angeles Kings, Bernier's skill and athleticism has never been questioned. But he's struggled to keep an outright starting roll that may be due to some of the competitive situations he's been placed in with other talented goaltending. Maybe that changes in the next season or two. Howard's contract is up in 2020. The Red Wings may not even have him for that long. Bernier is the type of goalie they needed to acquire in order to retain that type of transitional option while there appears to be zero options right away from the the franchise's prospect pool. So when things were looking a bit dicey in Detroit's crease -- as if Howard would have to play 65 games in net this season -- Sunday brought a much-needed signing that makes the team better right away.